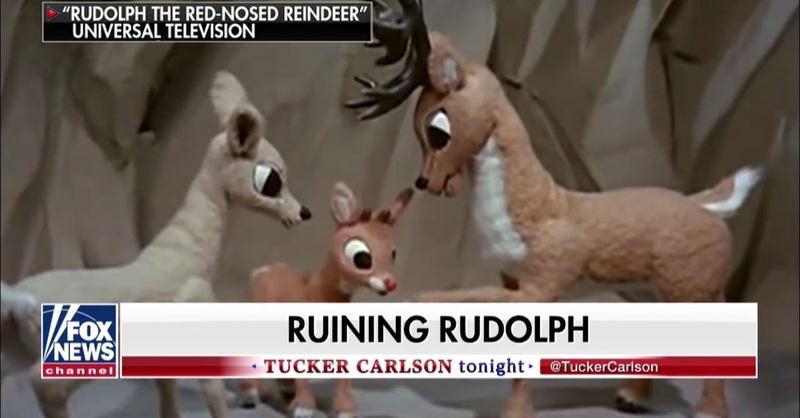 A Huffington Post tweet castigating the Christmas television classic “Rudolph the Red-Nosed Reindeer” seemed to backfire as many readers wondered if the news outlet was kidding or just crazy. The liberal media outlet lamented the “serious problems” with the story that was entirely based on a Christmas song from the 1940s by Johnny Marks. Many Twitter users, like the one below, wondered if the HuffPost had completely lost its sense of reality. 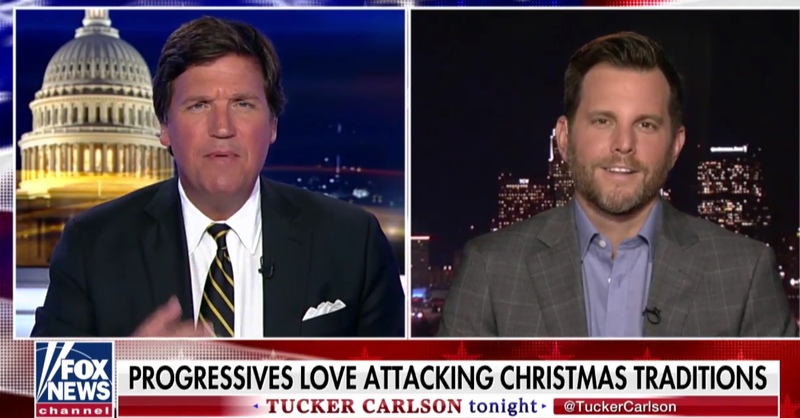 Tucker Carlson and Dave Rubin discuss “Rudolph the Red-Nosed Reindeer” on “Tucker Carlson Tonight,” Nov. 29, 2018. Fox News screenshot. Christmas classic feature “Rudolph the Red-Nosed Reindeer,” Universal Television. Fox News screenshot, Nov. 29, 2018. Christmas has been the target of political progressives for years. A Canadian author even produced a politically correct version of “‘Twas The Night Before Christmas” that excises all references to smoking.